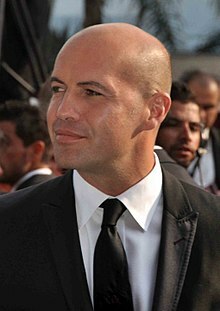 بیلی زین (اینگیلیسجه: Billy Zane) آمریکالی فیلم یاپیمجی‌سی و اوْیونچو. ۲۴ فئوریه ۱۹۶۶ ‏ ایلینده آمریکادا دۆنیایا گؤز آچیب. 1985–گۆنوموز ایللر آراسیندا سینما ساحه‌سینده چالیشیب. 1986 Heart of the City Tobin Episode: "Don't Sell Yourself to the Cannibals"
1988 Murder, She Wrote Tony Gambini Episode: "A Very Good ایل for Murder"
1993 Tales From the Crypt Miles Episode: "Well-Cooked Ham"
2012 Robot Chicken Commander Edwards/King Ding Dong Episode: "Poisoned by Relatives"
2014 Psych Ian Collins Episode: "The Break-Up"
2015 Community Honda Boss Episode: "Advanced Safety Features"
↑ White Island (June 23, 2016). ↑ Independent picks up 'White Island' for EFM. ↑ Ausiello, Michael. 'Sam Who' Recast Scoop: Zane in, Olyphant out!. Entertainment Weekly. ↑ Bierly, Mandi. 'Psych' series finale postmortem: James Roday on landing that dream guest star and the ending. Entertainment Weekly. ↑ Avril Lavigne teases new music video for 'Rock N Roll': Pressparty. اینگیلیسجه ویکی‌پدیاسی‌نین ایشلدنلری طرفیندن یارانمیش«Billy Zane»، مقاله‌سیندن گؤتورولوبدور. ( ۲۲ ژانویه ۲۰۱۸ تاریخینده یوْخلانیلیبدیر). قارداش پروژه‌لرده بیلی زین گؤره داها آرتیق بیلگی‌لر تاپابیلرسینیز.